No trip to Israel is complete without a visit to the Dead Sea, a true wonder of nature! Before you go, there are a few interesting things you should know about this incredible place. The Dead Sea sits at 1,388 feet below sea level, making it the lowest point on earth! The high salt concentration means that people can easily float on the sea’s surface. Just lean back and relax on the sea with a book or newspaper, no effort required. Due to the high salt content, there are no animals or sea life to be found in sea, and that is why it is called the “Dead” Sea. Even though it’s called a sea, it’s actually a hypersaline lake. The water is almost 10 times saltier than ocean water, so don’t get it in your mouth or eyes! Water flows into the Dead Sea from the Jordan River, but no water ever flows out of the sea. 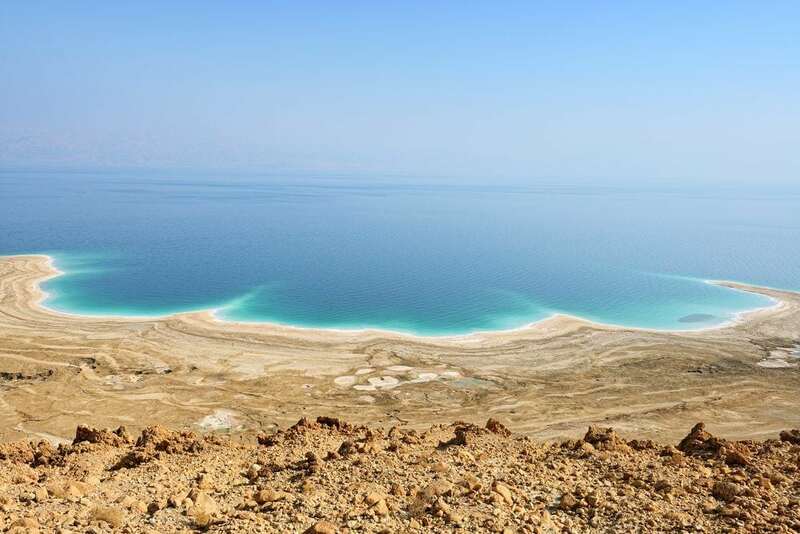 The Dead Sea is disappearing at an alarming rate. In 1930, the sea’s surface was 1050 km2 and now it is around 600km2. Some experts say that unless drastic measures are taken to preserve what is left of this natural wonder, the sea could disappear in our lifetime. The water of is very high in minerals, and therefore it has become a major centre for health research and treatment. The salt from the sea is very bitter, but it has a variety of skincare benefits. The salt and minerals from the sea can treat psoriasis, cellulite, acne, hives, and many other skin ailments. 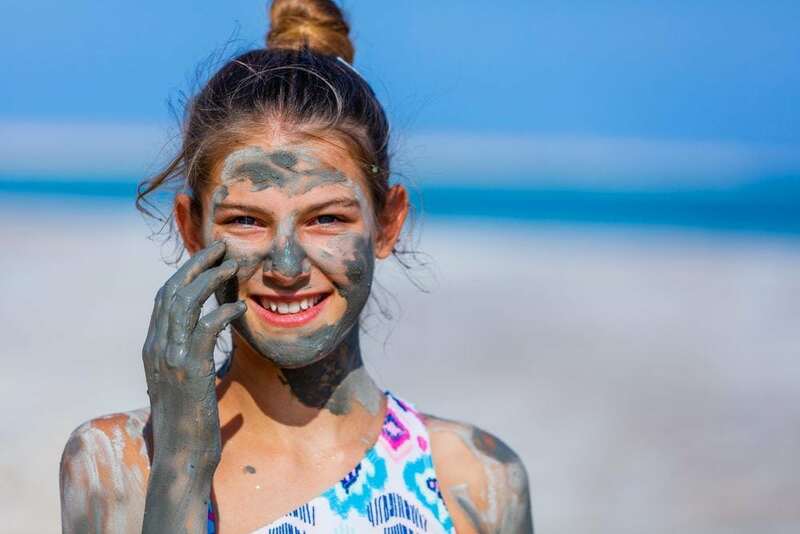 The mud that comes from the seabed surrounding the Dead Sea is also great for your skin. For an amazing natural spa experience, spread the mud all over your body and bathe in the sea. You’ll walk out feeling like a baby! The air around the Dead Sea is healthy too! It is low in pollen and allergens, making it the perfect location for those with asthma. Asphalt naturally rises to the surface of the water, and this asphalt used to be used by ancient Egyptians in the mummification process. It was one of the world’s first health resorts, built for King Herod the Great. Historically, the Dead Sea was one of Cleopatra’s favorite places. She even ordered resorts and cosmetic factories be built along the shores. The Dead Sea is over 3 million years old! The Dead Sea is at the lowest point of the Great Rift Valley, which passes through 20 countries and extends almost 4000 miles. Hungry? 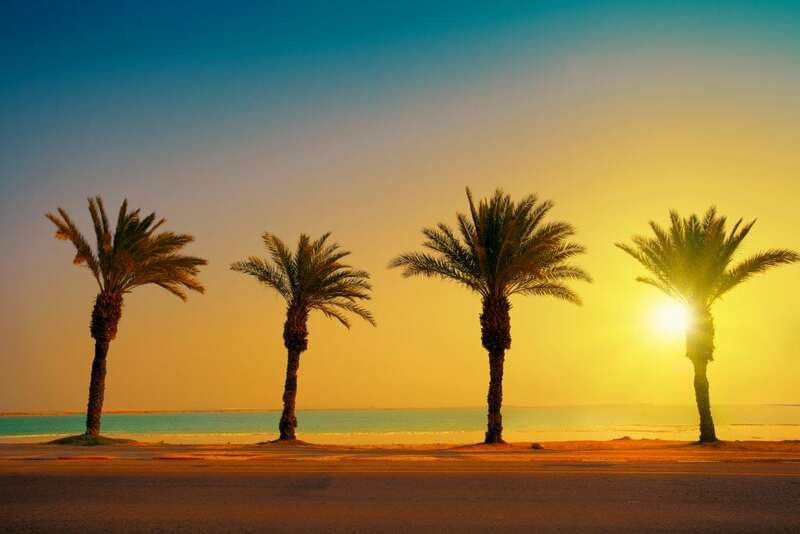 On the way to the Dead Sea, you’ll be surrounded by date palms, 618 acres to be exact. The weather there remains warm all year round, and annual rainfall in the region is less than 50 millimeters. Highway 90 is the world’s lowest road and it runs along the Israeli and West Bank shores of the sea. Since the Dead Sea is located at such a low point, the sun’s UV rays are weaker in this region, making it harder to burn. So float on without worrying too much about those harmful UVs! You’ve got the facts, now are you ready for the experience? Book our Relaxation day tour, or if you’re pressed for time combine your Dead Sea tour with a visit to Jerusalem or Masada.